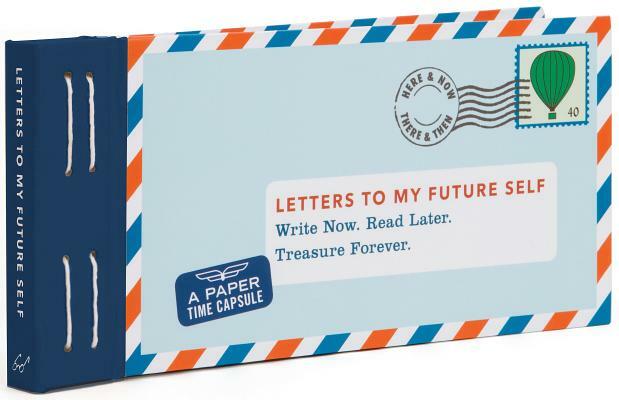 Write now, read later, treasure forever: Keep in touch with your past, present, and future selves with this collection of twelve letters. Letters to My Future Self is a journey into the future that becomes a priceless memento. Write letters to yourself - just like entries in a diary or journal - and seal them up with the included stickers. Assign a date for future opening and don't peek until the time arrives. In the years to come, break open your letters like a time capsule to appreciate the past, and all that you've become. Each letter is printed with a unique prompt like These are my roots..., Where I want to go..., I never want to forget this..., and A pep talk for the future me. Makes a perfect graduation, birthday, or anytime gift. Created by Lea Redmond, an artist and the creative mind behind The World's Smallest Post Service, My Museum, Connexio, and Letters to My Baby. Fans of Letters to My Love, Letters to My Baby, and Letters to My Grandchild will love this Oprah's Favorite Things Pick for 2015, Letters to My Future Self. Over 2 million copies sold across the series! Each Letters To... letter book includes 12 or more prompted letters to fill with favorite memories and words of wisdom. Seal letters with the included stickers, postdate for future opening and then look back on the memories, dreams and reflections of yourself.